Author(s) Gadbois, Jr., George H.; Gadbois, Jr., George H.
This work seeks to determine the roles played by the paramount judiciary in the Indian polity between 1937 and 1964. The discussion starts with an examination of the Federal Court, the establishment of which in 1937 brought into existence Indias first central judicial institution. 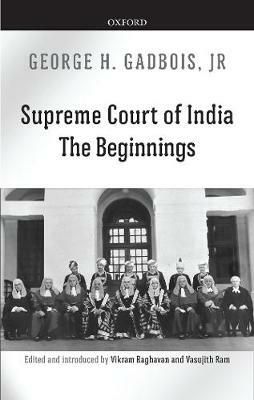 The discussion then shifts to the evolution of the Supreme Court of India, which replaced the Federal Court in 1950. After discussing the general features of the new judicial establishment, attention is focused upon the nature of its review powers and the manner in which the Court can exercise these powers.